Job searching can seem like a lot of energy and time that can go to waste. As time progressing throughout the job search forgetting the basics can put you behind the 8-ball even further and be a detriment to your overall goal of landing that perfect job. Here are some tips that can be used across a broad spectrum of job titles and industries. Before your resume ever gets into the hands of a decision maker, it will likely be screened by a lower-level HR employee, or, as the hiring process evolves, a computer program. Either way, you want to avoid using too many buzzwords. Hiring managers are looking for results and accomplishments you’ve achieved and only have a few moments to dedicate to each resume that comes their desk. Keep your resume to a single page as well. You can look up many instances on LinkedIn to see where hiring managers explicitly state they do not have enough time to look over a resume longer than a page. Online applications save a lot of time when it comes to showing your interest in an opening. But there’s a lot to be said for cultivating and nurturing your network. 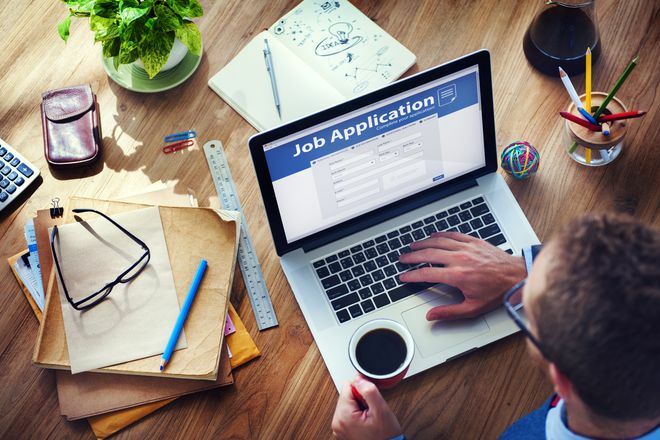 Between 70 and 85 percent of people who have jobs found them through a personal contact, whether that is with an agency or headhunter, a former colleague or college acquaintance or a friend of yours at a company at which you desire to work. Leverage these existing connections and work on creating new ones. In-person networking opportunities are plentiful, whether they are part of an association of like-minded people or at a job fair. Every connection, every handshake can lead to a great job possibility. You have a particular skill set that was built through a particular education that is meant for a particular type of job. Why is your LinkedIn profile generic? Is it because you think that you will attract more attention if you spread the net wide? It’s possible, however, you will have less of a chance of getting hired. Remember that employers are not looking for a general employee, they are looking for a direct match that will come in with profitable, day-one skills. Your online profile, such as LinkedIn, is meant to attract a very specific employer. If you cast your net too wide, you might possibly end up at a job you never really wanted in the first place. There will be many people with your credentials and possibly even your experience. How do you differentiate yourself? Your personality. People hire people they like. You may have the “perfect” answer to all of the generic interview questions. You may have crafted your cover letter or resume and online profiles to perfection. However, employers are not looking for a “generically perfect” employee. They are looking for people who will fit into the company culture as well. You owe it to yourself and to your potential employer to show your personality upfront. This will ensure that you find a cultural match more quickly. You may have followed up on past interviews which have yielded no returns. This should not stop you from being polite to your future potential employers. Remember, you only need one yes. To keep your name and face at the forefront of the hiring manager or interviewer, sending a thoughtful “Thank you” note for their time is crucial and often a step that can be overlooked. The key to remember is every interaction with a potential employer –even recruiters – can and will have an effect on your job search. Keep your best foot forward throughout the process because you’ll never know what minor item can hold you back.